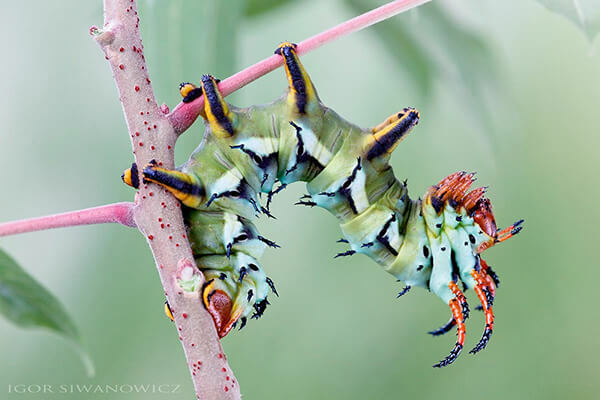 Scientist and photographer Igor Siwanowicz is famous of documenting various animals and insects in the natural world. 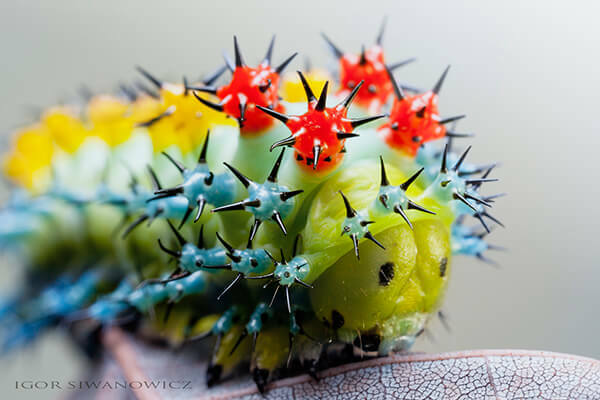 He has been sharing his photography on photo.net for more than 10 years (1600+ photos so far) and you can find incredibly amazing collection of his work there. 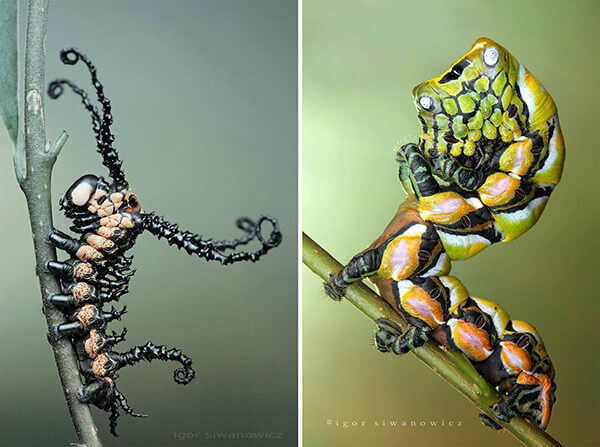 Among his work, the most eye-catching ones for me are about insects and some of them are so popular on internet that you should have seen them here or there. 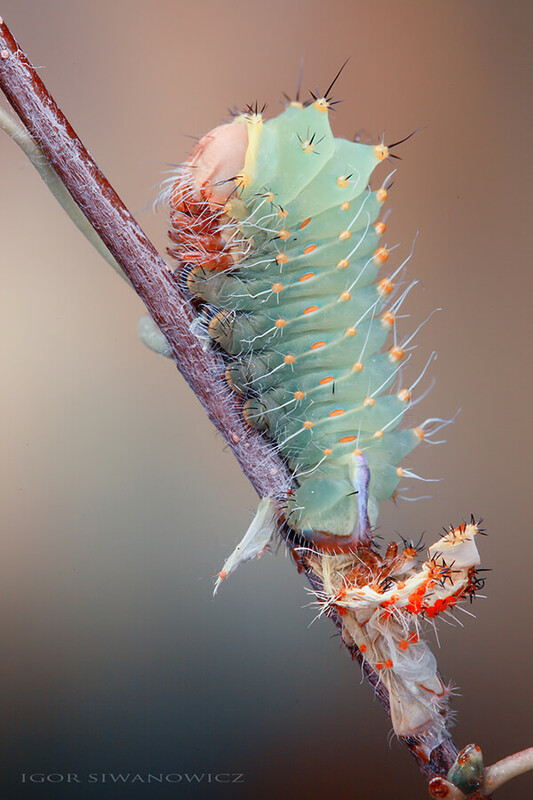 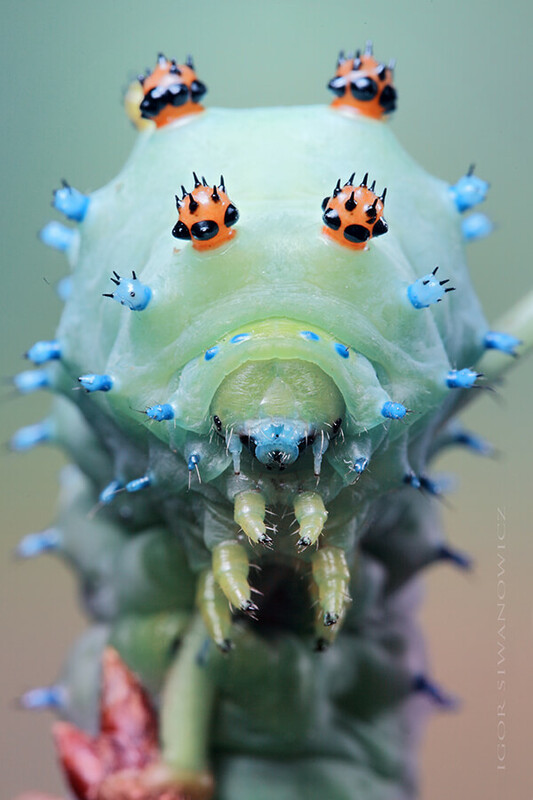 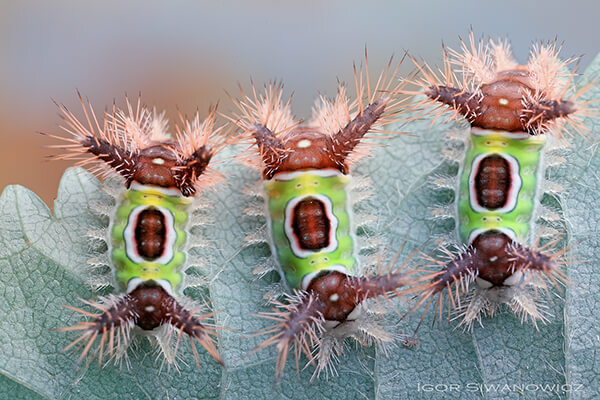 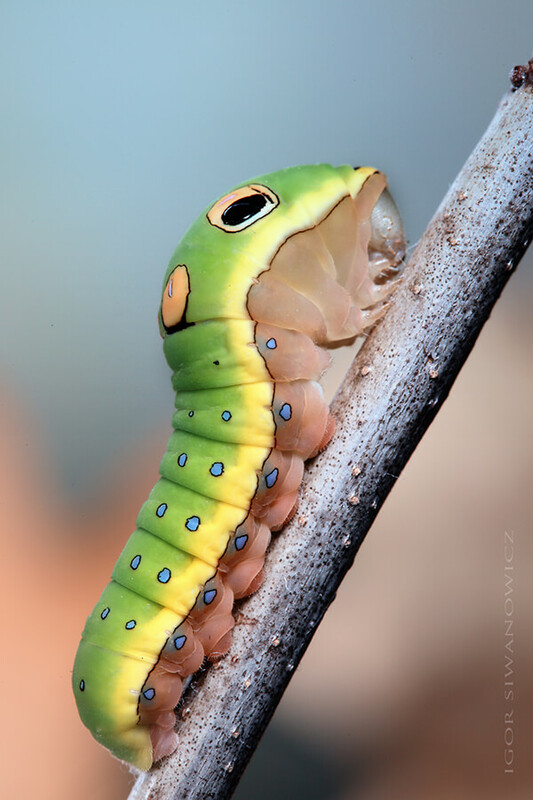 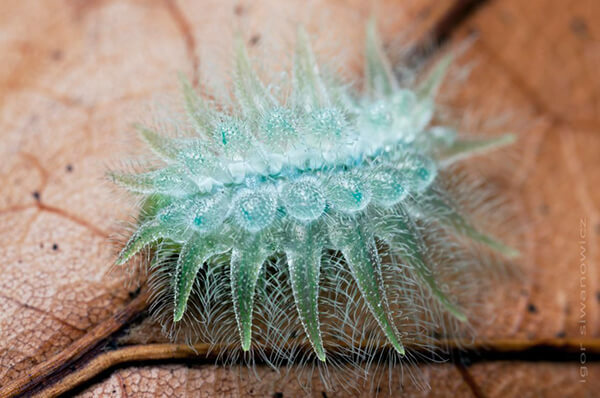 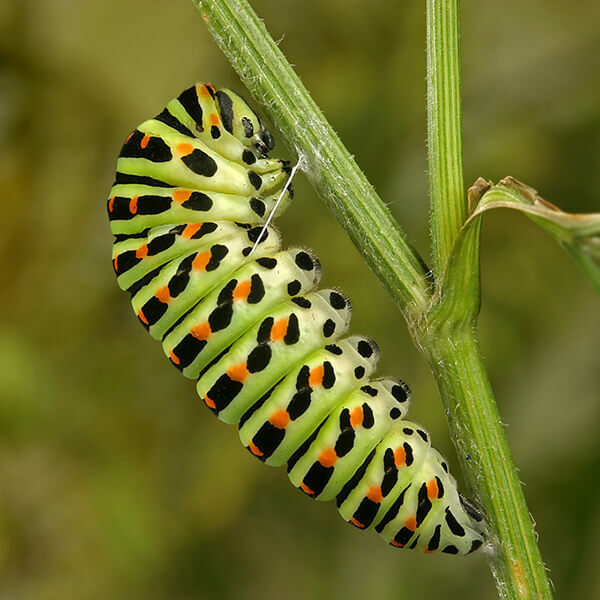 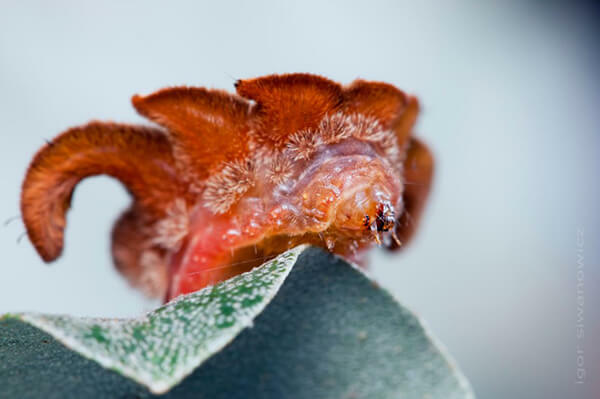 Today, I will only show a special collection of his work – some really unusual photos of caterpillars. 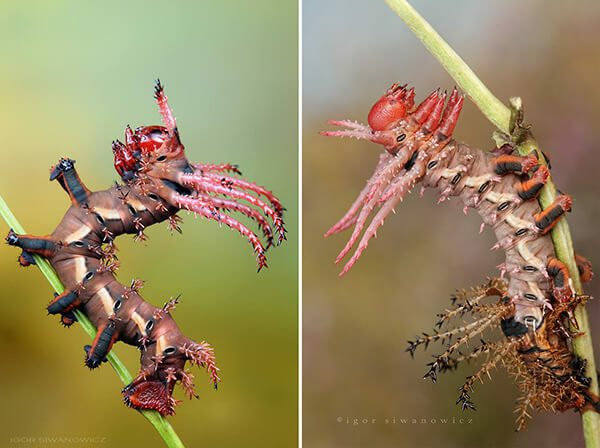 Although I knew some caterpillars have otherworldly appearance, I don’t expect they can look like that until I saw Igor’s photos. 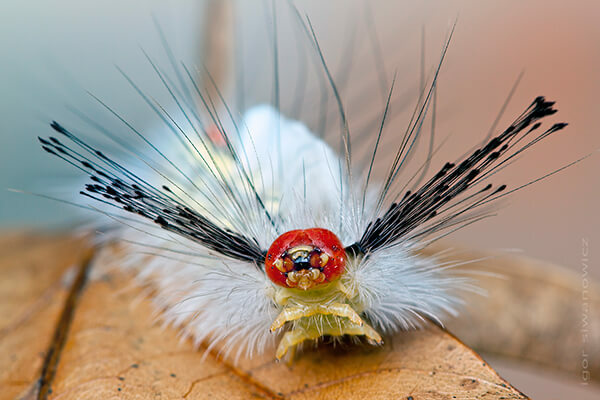 Feathery blue spikes, curling burnt-orange horns, or long black whiskers, you got to take a look at these amaizing creatures!